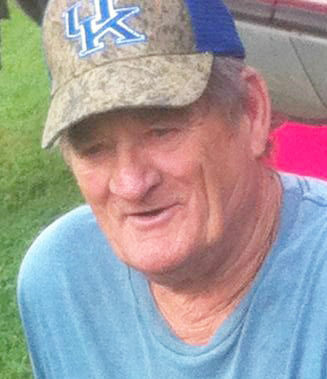 Estile B. Gregory, 76, of Arjay, KY passed away Thursday, February 28, 2018 at his home after a short illness. Estile was a retired coal miner, he loved gardening and fishing. His greatest love was for his family, he loved to spend time with family and friends telling stories and making everyone laugh. He was born on June 10, 1942 at Little Clear Creek, the son of the late Lewis and Bertha (Smith) Gregory. In addition to his parents, he was preceded in death by Brothers, Oliver (Red) Gregory, Harve Gregory, JD Gregory, H.L. Gregory, Earl Gregory and Lewis (JR) Gregory and Sisters, Nancy Brummett, Mary Alice North, Faye Knuckles and Susie Mosley. He is survived by his wife of 52 years, Elvyleen (Brock) Gregory, Arjay, KY; son, Golden Dwane (Valerie) Gregory, Pineville KY and daughter Lisa (David) Black of Little Clear Creek; Grandchildren, Caroline Gregory, Anthony Gregory, Brittany Gray, Landon Brock, Chad Brock, and Juston Black; 6 great-grandchildren and host of nieces, nephews and friends. Services were Tuesday, March 5, at 2 pm at Arnett & Steele Funeral Chapel, Pineville KY with the Rev. Ronnie Hoskins, Rev. Richard Asher and Rev. Michael Liford, Pallbearers were David Black, Doug Brock, Richard Brock, Mark Hill, Landon Brock, Justin Black, Jason Gregory and Eulas Helton. Burial will be at Brummett Cemetery, at Simms Fork. His family received friends Monday, March 4 from 6 pm to 9 pm at Arnett & Steele Funeral Home and Cremation Center, Pineville, which is honored to serve the Gregory family. Light a candle of remembrance and sign the guest register at www.arnettsteele.com.